Let’s talk summer since we are coming to the end…..for the next few days I can show you some rooms I have done in beach houses and some ideas and/or things I have seen that I think are very different and of interest to you. This first room is one I did several years ago. The clients wanted a window treatment that could take care of the tremendous amount of sun they get every afternoon as this is where they watch tv. They did not necessarily need anything for privacy. 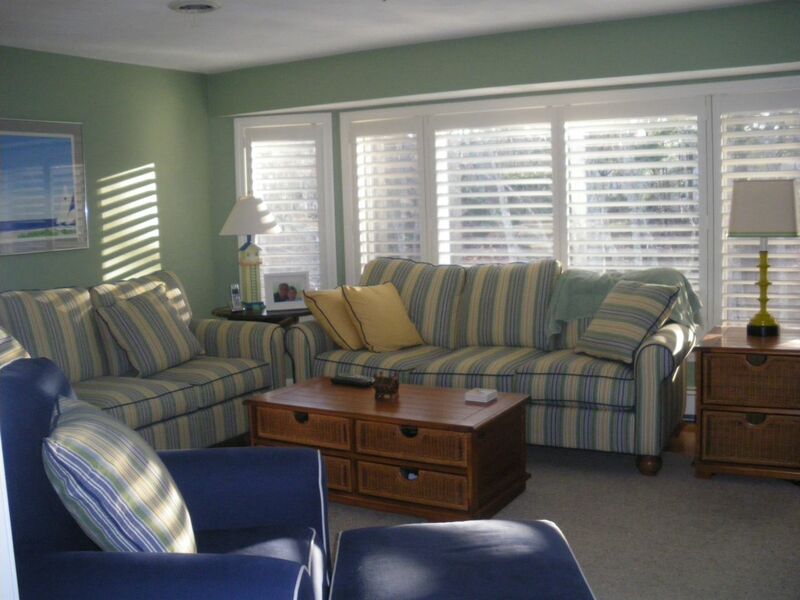 Interior shutters solved the problem and are easy to take care of-no mold or mildew as can happen so often with fabrics in a Cape house. They also give a room a very clean but finished look. This entry was posted in summer/beach houses, window treatments and tagged Concord, Falmouth, Home Improvement, Interior Design, Summer house. Bookmark the permalink.